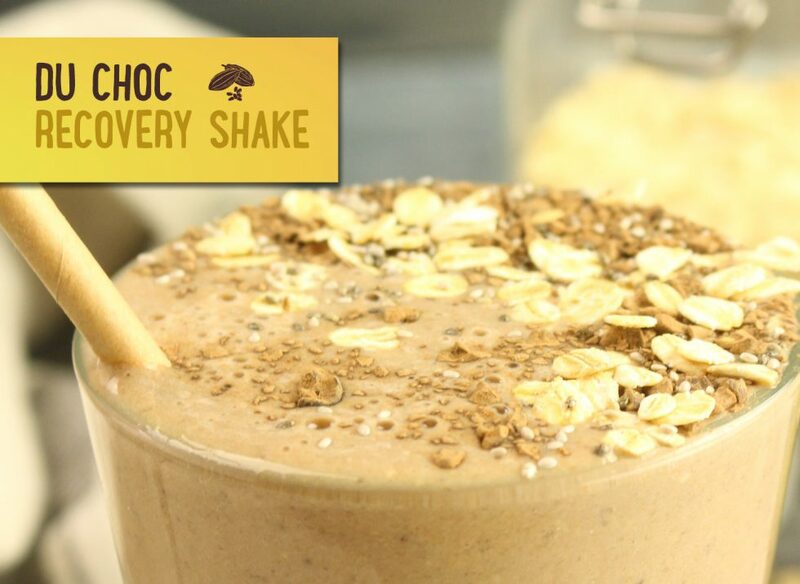 Combine all the ingredients, except the cacao nibs in a blender. Blitz until smooth. Sprinkle with cacao nibs and extra oats.